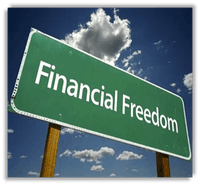 A number of us don’t strive for financial freedom in fact we don’t even know what it means. We live beyond our means just to fulfill an appearance. We don’t have our priorities right – a person buying a house with a bond and calling it an asset. Newsflash, that property is an asset when you are getting an income from it. I lived in a community where many can barely make ends meet, but pretend to have it all under control. Credit is a way of life and not something that should be avoided. I remember when I started working – everyone expected me to immediately buy a fancy car. It wasn’t about whether or not I could actually afford it – it was about looking like I could. The priority is to look rich. The problem with looking rich – you’re using the money you have to look rich and not using it to become rich. With this type of thinking we end up in a vicious cycle where we ‘borrow from Peter to pay Paul’. Many times, we find ourselves eventually paying double or triple the price of the fancy products we own. So, my friend and I decided to be financially free. No credit card. No clothing accounts. No phone contracts. No revolving loans. Nothing. Create and keep to a Budget for – expenses; junk food; entertainment; clothing; transport costs; unexpected expenses; airtime; insurance; savings and investments. Do everything possible to decrease unnecessary expenditure – like making our own lunch for work instead of buying lunch every day, or cooking more of our food and getting less take-out. Take advantage of all the specials, bonuses, point systems and rewards that exist, ones we can actually use – it’s much cheaper that way and very beneficial in the long run. 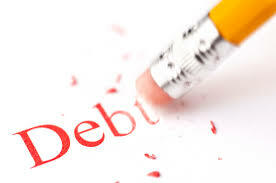 Pay more on existing credit so to finish it quicker and incur less interest. Starting with the highest debt we owe that can be finished soon, not like a car, more like a credit card and pay more there and the minimum payments elsewhere. Some credit need not be closed but rather deposited into, keep the positive balance and later used – that way you still don’t owe anyone or you owe very small amounts that you can pay on the go. Or also get the latest copy of Destiny Magazine, the March 2015 issue. ACTION: Create a budget. Settle all debt. Increase savings.